Workhorse Group Inc. an American technology company focused on providing sustainable and cost-effective electric-mobility solutions to the transportation sector, has formed a strategic partnership with 40-year automotive industry veteran Prefix Corporation for the final design, development and production of its NGEN series all-electric delivery van. This partnership signals a key step in moving forward following Workhorse’s change of leadership in February 2019. The two companies are now focused on building an underlying platform to support 1,200 ft3, 1,000 ft3 and a 650 ft3capacity delivery vans. To streamline cost and increase production efficiency, all sizes will share a common cab and chassis configuration. 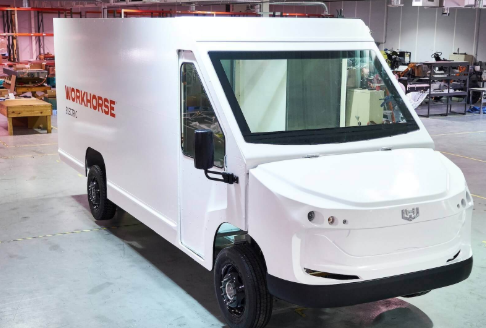 The new delivery vans will be built on a low-floor chassis platform developed by Workhorse while Prefix will develop, build, and supply the 100% composite cab and body.